When you need help cleaning your gutters or having them repaired, turn to our team of experts. We have many years of experience in cleaning gutters for both private and business buildings. 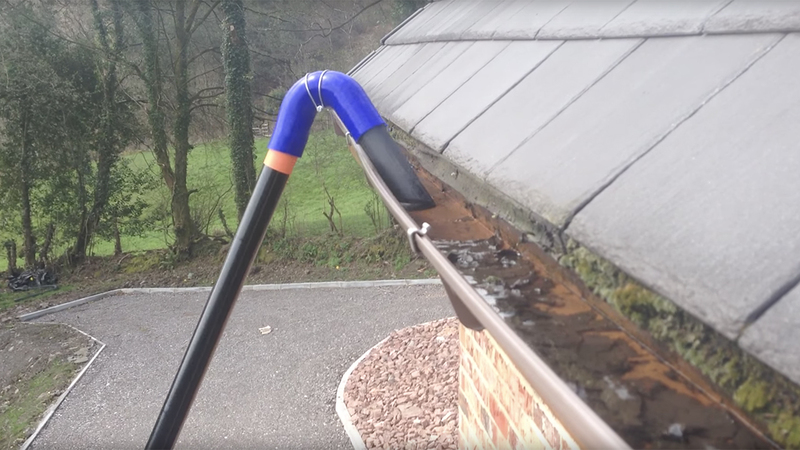 Our gutter cleaning Swansea services have become very popular, and as a result, we have many return customers… read what they’ve though after using our services, over on our testimonials page. Our gutter cleaning Swansea professionals offer drainage cleaning and maintenance for single floor houses as well as multi-storey buildings. We will be able to prevent your gutters from getting blocked and causing serious water damage to your property. No matter how tall your building is, we have the right skills and tools to do the job to the highest standard. Amongst our customers are private home-owners, schools, universities, city halls, offices and many more. Our gutter cleaning Swansea team have the experience and know-how to offer solutions to every drainage cleaning problem. We will unblock and clean every gutter of your home or office, including the down pipes. Plus, when booking our domestic gutter cleaning in Swansea services, you can enjoy a range of benefits. Our services are available seven days a week for the same price. We will take before and after pictures of your gutters, so you can see the results. Our team closely follows the official Health & Safety Standards on gutter cleaning. We use very powerful vacuuming equipment to clean gutters and down pipes above ground level. Our technicians can use a pole cleaning kit for access to the property’s gutter from the safety of the ground. We will perform any necessary repairs to your gutters. We have tackled the gutters of many buildings of many different sizes. Our guttering repairs Swansea team will remove debris, leaves and muck that has accumulated in your gutters. Plus, you can choose from a range of first class services that we offer, which will guarantee you further savings on multiple bookings. For example, book external wall cleaning or window cleaning along with your gutter cleaning, and check out our reduced rates! Crystal Clear Services use the latest and most efficient equipment, purpose built for gutter clearance in and around buildings with large gutter runs such as commercial offices and industrial units. Hire our gutter cleaning team now! Call 07846 873344. We have a team of experts available 24/7 to offer you free quotes and help you hire gutter cleaning services right away. Also, you can receive immediate answers to your questions through our online chat support feature. Alternatively, book a professional gutter cleaning service by filling in our online booking form.